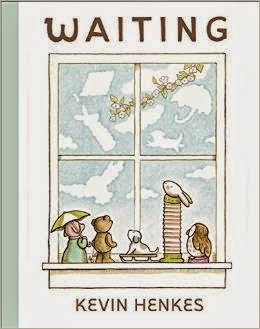 Kevin Henkes is one of my favorite children's authors. Our favorites of his include Lily's Purple Plastic Purse and Julius: Baby of the World, but he's also written Chrysanthemum, Kittens Last Full Moon, The Little White Rabbit, Owen,, Good Day and Lily's Big Day. 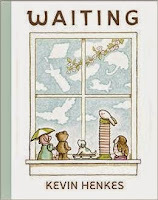 He's a Caldecott Medalist too (I love the illustrations). Well, he's coming to Kepler's Books on October 1 and you can see him - with or without your kiddos. Ha ha! He'll be talking about his new book Waiting. Read more about the book here. When: Thursday, October 1 at 6 p.m.
Tickets: tickets are free, but RSVP here. Maybe they'll close the event if it's full.